How does it drive? Exactly the same, but once again, I have peace of mind knowing that the setup is tidied. 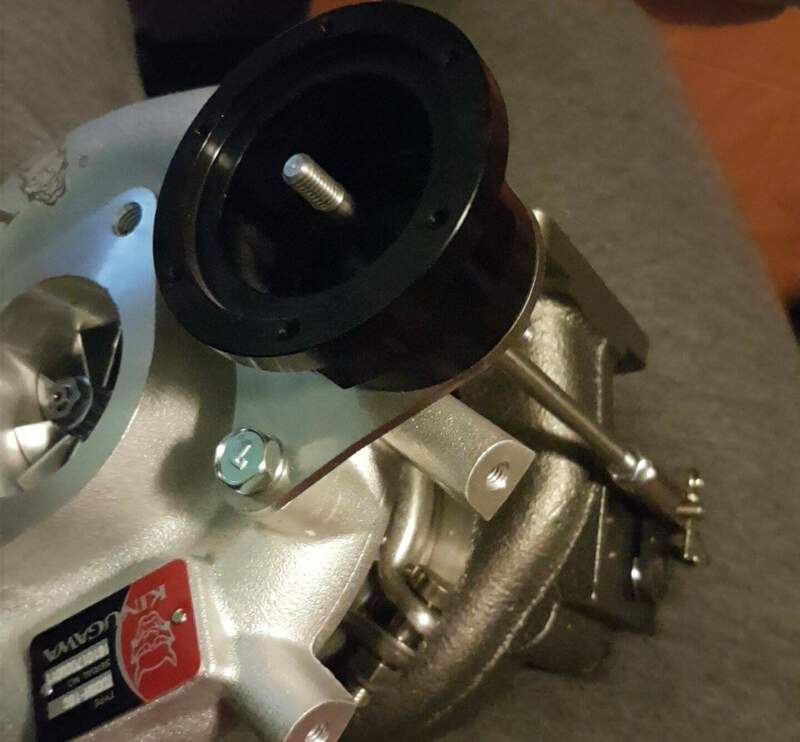 The new turbo arrived on Monday, and looks the goods. The kit came with gaskets, braided lines and even a free boost gauge. I will fit the new gauge because my old one doesn’t illuminate at night. 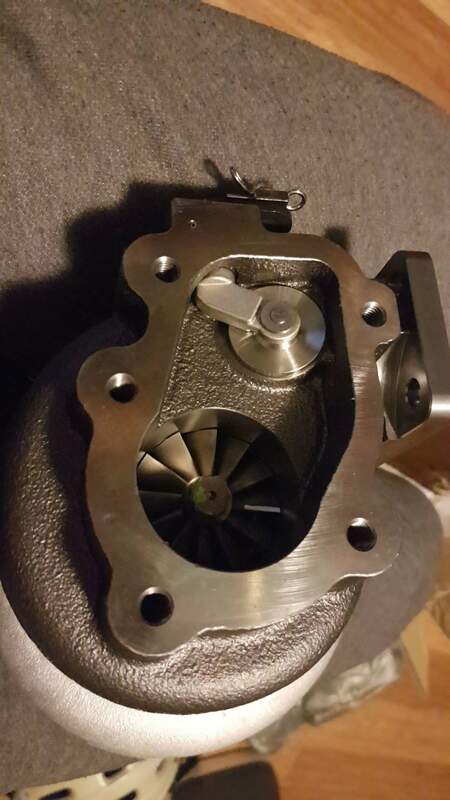 The internal wastegate is tiny but seems to seat really well on the exhaust housing. I definitely don’t want to weld the flap closed, so I’m confident little to no modification will be necessary to keep using the current external wastegate. The minimum will be simply having no boost line to the actuator, which will leave the spring inside to hold the flap shut. If that proves unreliable, I can put something solid inside to replace the spring. The final thing I’ve been working on is some of the rougher aspects of the tune. The idle was always super dodgy, but only from certain point. Initial start is fine, then it went rough, later correcting as more temp was gained. As Nistune is connected to the running engine, it highlights which tables are being accessed to calculate fuel and timing. With some trial and error, I manage to track down the issue to having too advanced timing in the 30-50 degrees C coolant temp.range. I removed timing in real time and the effect on the idle was instant. Burn changes to ECU and fixed! I have also been going for short drives and logging them in Nistune. Unigroup logged a dyno run for me last time round, so I now have some good data. At high loads, the RB25 afm is close to maxed out, reading 4.9 volts of a possible 5.1. The new turbo will likely cause trouble immediately when attempting to tune with its increased appetite for air. The injectors are only at 60% duty cycle, so I think they will be fine to retain. As a rudimentary calculation, 60% is supporting 170 rwkw, so 100% should support 283 rwkw. The result of all of this analysis is the purchase of a Z32 afm from Just Jap. I read a lot of talk on forums about ‘fakes’ that look like genuine units but deliver a poor output signal that maxes out far below where it should. $323 delivered with a plug compared to an eBay copy for $100 is frustrating, but sometimes you have to pay the premium to ensure you get the right product.